Undertaking a home remodelling project this year? Any house renovation ideas can be overwhelming, but is it guaranteed to go smoothly, without these couple of hacks and tricks that you must know and could just make your day easy. 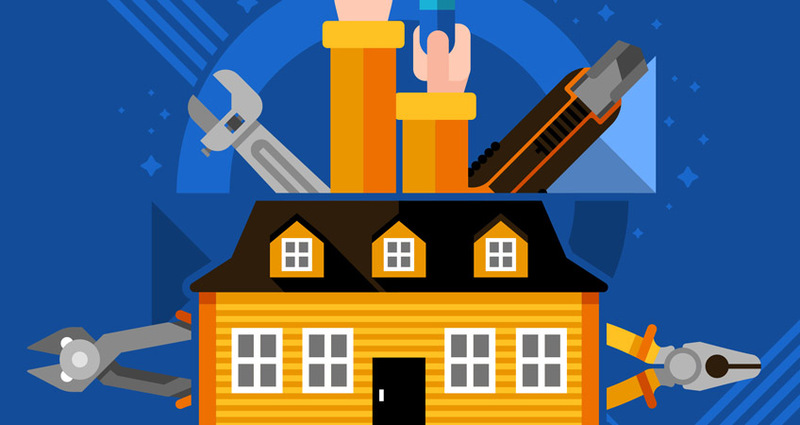 From ignoring prep work and safety to setting unrealistic budgets, find out how to avoid these mistakes and more when renovating. Here are some tips from remodelling professionals, architectural designer; what to consider — and what not to worry about. Renovating a home is one heck of a thing. Remodelling homes may sound fun but comes in with responsibilities that can be stressful at times. So, it is important you know some tips to start over the project. Starting with you need to understand if some or all parts of the house need renovation, accordingly plan on the designs and budgets for the same. Renovations being costly it is always a good idea to consult your insurance agent to clear out the air for the renovation coverage. Along with this it is important to do your research that is your homework, before you start over the work. Renovating a home needs a professional help it’s always a good idea to hire a contractor who can look after the project in your absence. There might be situations where in contractor can forget some details because he is working on the number of projects at a time. It is good if you have all things in written, so you and the contractor don’t miss out on any details. Home renovations don’t happen overnight, it takes time, be patient. Let them be minor, hundred-dollar home repairs or million-dollar renovations, Architectural design plans, architectural designer, has seen it all. We know what works, what doesn’t, and what should be done if you’re considering renovating your house, to create the home of your dreams. Architectural design Essex evolve, just like people’s expectations.